Born and raised in the small town of Sleepy Eye, MN, Dan Koewler has been defending DWI clients since he started practicing in 2008. His dedication and commitment to DWI defense has earned him a solid reputation as a top-notch defense lawyer in Minnesota, leading to many requests to hear him speak on DWI-related topics and to author highly-valued resources regarding DWI defense. Dan takes a different approach to DWI than most other attorneys in Minnesota; following the Ramsay Law Firm’s motto "Every DWI Case Is Winnable,” Dan has fought DWI cases everywhere from our local state courts, to the Minnesota Supreme Court, and even in the United States Supreme Court. Dan discovered that when your career focuses on defending those accused of driving while impaired, you find many opportunities to succeed by bringing a variety of constitutional and scientific challenges to court with you. 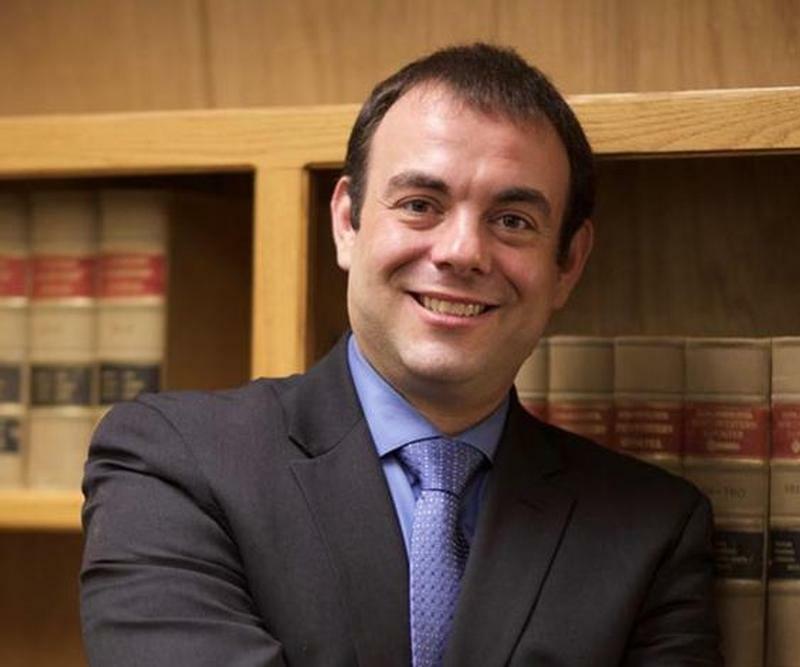 Defending DWI cases was a specific career choice for Dan – he wanted to protect the rights of the accused, but also wanted to work in an area of law that largely involved good people making honest mistakes. His clients are not “drunk drivers,” they are good people who may have drove drunk, and are now facing the consequences of Minnesota’s potentially harsh and highly complicated DWI laws. At the end of the day, every win for Dan means he can fall asleep at night knowing another good person saved their job, can still drive their kids to school, and won’t have to spend the night in a jail cell. If you scroll down you’ll see a short list of Dan’s credentials – some of the books he’s authored, the most high-profile events he’s been invited to speak at, and some of the most prestigious awards he has received. State v. Thompson, Minnesota Supreme Court, 2016. Dan convinced the Minnesota Supreme Court to find that Minnesota's decades-old DWI Test Refusal Law is unconstitutional, and that the State cannot criminally charge someone for refusing to submit to a warrantless urine test. State v. Janssen, Minnesota Court of Appeals, 2016. Dan convinced the Minnesota Court of Appeals to find that the State must be able to prove that a driver's alcohol concentration is 0.16 or more before it can take their license for a year (or more). Prior to this case, the State argued that it automatically could revoke licenses at or above 0.16 and that such decisions could not be challenged in court. Board of Directors, Minnesota Association of Criminal Defense Lawyers (MACDL), Minnesota’s pre-eminent defense bar association. Chairman, Minnesota Association of Criminal Defense Lawyers (MACDL) Amicus Curiae Committee, responsible for filing amicus curiae ("friend of the court") briefs to the Minnesota and United States Supreme Courts. Secretary, Minnesota Society for Criminal Justice (MSCJ), an exclusive invite-only college of approximately 50 Minnesota defense attorneys, gathered together to "promote justice by supporting changes in the law - both legislatively and through litigation in the courts." Executive Committee, Minnesota State Bar Association (MSBA) Criminal Law Section, a group of defense attorneys and prosecutors responsible for drafting legislation and educating the criminal justice community regarding criminal law issues. Founding Member, DUI Defense Lawyers Association (DUIDLA), a non-profit, nationwide bar association dedicated to improving the trial and advocacy skils of defense attorneys who focus on alcohol and drug related driving offenses. Member, National College for DUI Defense (NCDD, a professional, non-profit corporation dedicated to the improvement of the criminal defense bar, and to the dissemination of information to the public about DUI Defense Law as an area of law practice. Minnesota DWI Deskbook, 3rd Ed., Minnesota CLE, 2013. Touted as the "complete and authoritative resource for DWI practice in Minnesota." Understanding DUI Scientific Evidence, 2014 ed. : Leading Lawyers and Scientists on Recent Developments in Forensic Science, Understanding Chemical and Field Sobriety Testing Procedures, and Analyzing the Validity of Test Results, Aspatore (Thomson Reuters business), 2014. Understanding DUI Scientific Evidence, 2015-2016 ed. : Leading Lawyers and Scientists on Recent Developments in Forensic Science, Understanding Chemical and Field Sobriety Testing Procedures, and Analyzing the Validity of Test Results, Aspatore (Thomson Reuters business), 2015. Bench & Bar of Minnesota, The Official Publication of the Minnesota State Bar Association. Volume LXXIII Number II, February 2016. Just Saying No: The Limits of Warrantless Searches, Bench & Bar of Minnesota, 2016. 50th Annual Criminal Justice Institute, 2015. Uncertainty of Measurement: Bringing Hard Science Into Minnesota's DWI Test Reporting Process. 51st Annual Criminal Justice Institute, 2016. Applying Metrology To the Limitations of Breath Testing. 51st Annual Criminal Justice Institute, 2016. Understanding Retrograde Extrapolation in DWI Prosecutions. The Innocence Project of Minnesota, 2015. Uncertainty of Measurement: When "Guilty" Is Anything But Guilty. Annual DWI Seminar, Minnesota Society for Criminal Justice, 2014. Uncertainty of Measurement in Breath Alcohol Testing. Annual DWI Seminar, Minnesota Society for Criminal Justice, 2015. Winning Against the DataMaster DMT With An Expert Witness. Annual DWI Seminar, Minnesota Society for Criminal Justice, 2016. Metrology and Reliability of Breath Testing. Minnesota DWI Deskbook Webcast, 2018. Chemical Testing. Annual DWI Seminar, Minnesota Society for Criminal Justice, 2018. 10 Tips for Successful DWI Trial. Hennepin County Public Defenders Office, 2018. Challenging the Data Master Breath Test Results in Trial. Author of the amicus curiae brief filed before the United States Supreme Court on behalf of the DUI Defense Lawyers Association in the cases of Bernard v. Minnesota, Birchfield v. North Dakota, and Beylund v. North Dakota, where the U.S. Supreme Court found Minnesota's DWI Test Refusal law unconstitutional. Author of the amicus curiae brief filed before the Minnesota Supreme Court on behalf of MADCL in the case of State v. Harris, where the Minnesota Supreme Court determined whether or not to modify the current “rational hypothesis test” that is used to review criminal convictions based solely on the use of circumstantial evidence by the State. Author of the amicus curiae brief filed before the Minnesota Supreme Court on behalf of MADCL in the case of State v. Otto, where the Minnesota Supreme Court determined whether or not recent changes to Minnesota’s drug sentencing laws (the “Minnesota Drug Reform Act of 2016”) can be applied retroactively to offenders currently in custody. Co-author of the amicus curiae brief (alongside the Minnesota Public Defender’s Office) filed before the Minnesota Supreme Court on behalf of MADCL in the case of State v. S.A.M., where the Minnesota Supreme Court determined whether or not recent changes to Minnesota’s drug sentencing laws (the “Minnesota Drug Reform Act of 2016”) can be applied retroactively to offenders currently in custody. Author of the amicus curiae brief filed before the Minnesota Supreme Court on behalf of MSCJ in the case of State v. Olson where the Minnesota Supreme Court determined whether or not a prosecutor can dismiss a criminal case on the eve of trial and recharge the matter at a later date in order to avoid a Court's order denying a continuance request. Author of the amicus curiae brief filed before the Minnesota Supreme Court on behalf of the MSCJ and MACDL in the case of State v. Bernard, where the Minnesota Supreme Court is being asked to find Minnesota's DWI Test Refusal law unconstitutional. Author of the amicus curiae brief filed before the Minnesota Supreme Court on behalf of MSCJ and MACDL in the case of Axelberg v. Comm’r of Pub. Safety, seeking to permit victims of domestic abuse to utilize the common law defense of "necessity" in DWI Implied Consent proceedings. Author of the amicus curiae brief filed before the Minnesota Supreme Court on behalf of MSCJ and MACDL in the case of Patino v. One 2007 Chevrolet, where the Minnesota Supreme Court clarified the law regarding DWI vehicle forfeitures and ruled that a forfeited vehicle must be returned if the driver is not convicted of a statutorily defined "forfeitable offense."